Manama: One policeman was killed and eight others were injured in a terror attack west of the capital Manama on Friday evening, the interior ministry said. 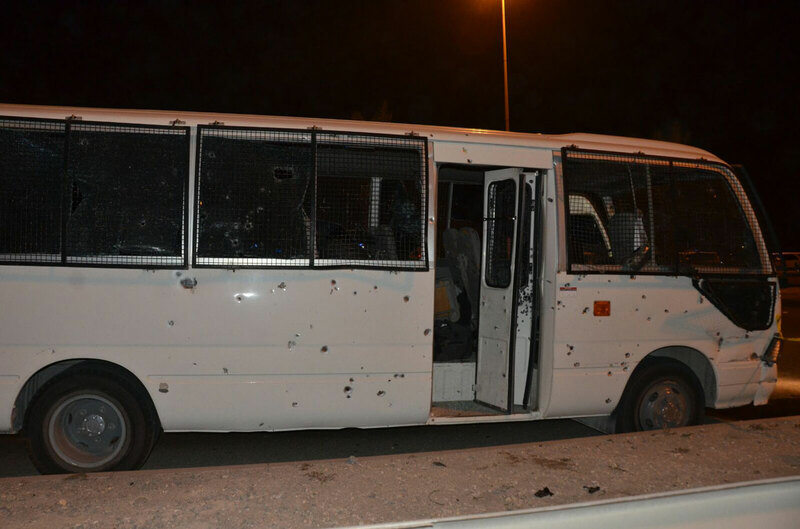 “The terror attack occurred at 5:26 pm when a police bus heading toward Manama on Khalifa Bin Salman Highway was targeted,” the ministry said in a statement. The ministry added that the attackers remotely detonated a homemade bomb. The attack on policemen is the second this month. On October 2, five policemen were injured in a terror blast while they were securing Ashoora procession on Budaiya Highway in Daih in the outskirts of the capital Manama. The attack was widely condemned by several countries that expressed full support for Bahrain as the security and stability of the island kingdom was targeted. Saudi Arabia said it fully backed Bahrain regarding all measures it takes to protect its security and stability and stressed "full cooperation between the security services in the two countries, based on their cohesion and their common destiny". In the Red Sea city of Jeddah, the Organisation of Islamic Cooperation (OIC) condemned the attack and expressed its full solidarity with Bahrain in confronting all acts of terror targeting its security, stability, people and public properties. The OIC added that it strongly condemned terrorism under all its forms and manifestations. Gulf Cooperation Council (GCC) Secretary-General Abdul Lateef Al Zayani condemned the attack as “a heinous crime that is rejected by all human and moral values and principles”. “It proves that terrorist groups and forces supporting terrorism continue in their evil schemes aimed at destabilising the security and stability of the Kingdom of Bahrain and intimidate the safe citizens and residents on its territory,” Al Zayani said in a statement. Al Zayani called on the international community to condemn extremist terrorist organisations and their supporters for their quest to target the security and stability of Bahrain.